Well, it happened a week or two later than I’d imagined it might but Daniel Muno made it to the Mets. The reserve infielder was recalled Friday and is expected to be wearing No. 16, which most recently went to another impressive spring training candidate, Alex Castellanos, but was last used in a game that counted by Daisuke Matuszaka last year. In what was a small surprise the Mets sent down Rafael Montero to make room for Muno. 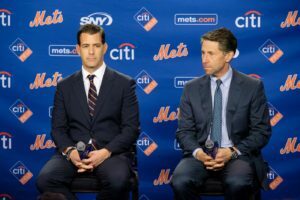 Howie Rose on the broadcast the other night was saying the Mets weren’t terribly happy with Raffy’s pitch selections during his appearances in Atlanta; I want to think perhaps they need to stretch him out again so he can take Dillon Gee’s job when the time comes. Other than that, and of course the David Wright injury, very little has gone wrong so far for the 2015 Mets who through the first 10 are on pace to win 113 games this year, including all 81 at home. Let’s Go Mets! 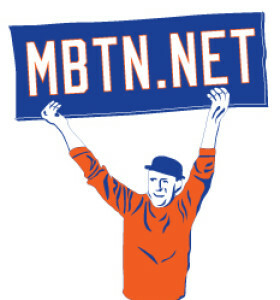 (The number assignments by the way are recorded at the Ultimate Mets Database as they happen, or as I get to them).